Hello aspirants, So done with you CDS 1 2016 exams eagerly looking for CDS 1 2016 answer keys for (SET - D) kindly go through the article below as we have published the CDS 1 2016 answer keys below. You can check your answers with the answer keys and examine your answers you attempted in the CDS examinations. Generally CDS results are announced after 90 days of the written exams of CDS. So candidates who appeared for the exams kindly keep patience and till then check your answers to the questions you have attempted in the exams for CDS exams which was held on 14th Feb 2016.Kindly check below the answer keys and check your answers carefully. Also keep your Admit card safely for further use.For any questions can comment below in comments. So this was all about the CDS 1 2016 Answer Keys - SET D. Hope aspirants would have checked their CDS exams answer keys and would have got the idea of your marks. Hope you would have got good marks in the exams. Generally CDS results are announced in 90 days of the exams so candidates are requested to keep following us for updates on CDS 1 2016 results we would update our page with latest updates on CDS. Kindly check your answer keys and keep your roll no safe and exam ticket for further use. 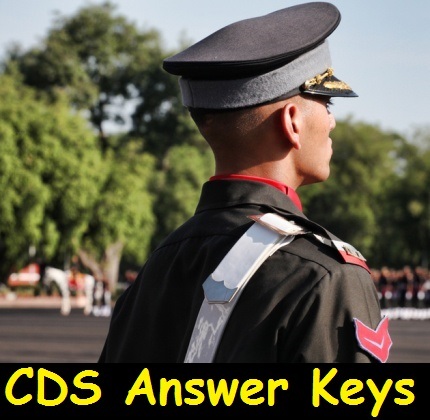 For any questions regarding CDS 1 2016 Answer Keys - SET D kindly comment below.